Reilly Molitor, reporter for the Snowberry Creek Clarion: Hi, everyone! I know it's been a while since we've posted a new interview with a member of our Snowberry Creek community, but I promise to do better in the upcoming months. I'm especially excited to talk with today's guest! Everyone, I'd like you to meet Abby McCree's roommate and four-legged companion. Welcome to my office, Zeke! Zeke: I'm glad to be here. He pauses to look around, stepping around the piles of books and other stuff scattered all over the place. Zeke: Would you mind if I stretch out on your couch? That would put us closer to the same level and make it easier for us to talk. Before you answer, you should know that I have a tendency to shed. Reilly (hesitates briefly before nodding): No problem. Zeke immediately hops up on the sagging couch cushions and stretches out with a happy sigh. Reilly: Can I get you anything? Maybe a bowl of water? Zeke: Thanks for the offer, but it's best I don't drink anything right now. Like all jowly dogs, I have an unfortunate tendency to drool. I try not to do that on other people's furniture. You said you had questions for me. Ask away. Reilly: Okay, we'll get right to it. Have you always lived here in Snowberry Creek? Zeke: No, I actually come from somewhere else. No one knows for sure, but the animal shelter suspected I came from up around Seattle somewhere. I was found living on the streets. I don't remember much about my first owner, but let's just say he wasn't…the best. Reilly: I'm sorry to hear that. Zeke (shaking his head, his jowls wobbling from side to side): Don't be. Even though he abandoned me, that made it possible for Abby's aunt to adopt me from the local shelter. It was love at first sight for both of us. Sybil was a wonderful person and taught me that most humans are good people. She definitely turned my life around. I've learned to trust again. Reilly: I knew Sybil, too. She was a nice lady. Her death was a loss for all of us. Zeke: It was tough, but it helped that her niece, Abby McCree, was willing to step up and be my new roommate. Reilly: How has that worked out so far for you? Zeke: Well, it took me a while to teach her everything she needed to know. Reilly: Like what for instance? Zeke: Well, for starters, what kind of treats I like, and what my favorite routes for our walks are best. She also didn't understand at first how important it is for me to check out the messages other dogs in the area have posted on the bushes and trees as we pass by. (Zeke's tongue lolls out in a doggie grin.) I also need time to leave a few messages of my own. Reilly: Are there other important people in your life? Zeke: There's Tripp Blackston. He rented the mother-in-law house in the backyard from Sybil, so Abby inherited him along with me and everything else. He's a former soldier who is taking classes at the local college. Reilly: Do you spend a lot of time with Tripp? Zeke: I sure do. Someone has to supervise the man while he works in the yard. I also make sure he gets plenty of regular exercise. We go for long runs in the woods, and he likes to play fetch as much as I do. We also patrol the yard together, especially after dark. It's a soldier thing, I guess. You know, to make sure the place is secure. Reilly: That sounds like a good idea. Zeke: Maybe. I don't know how he expects to learn what's going on if he doesn't even stop to sniff the bushes or chase those pesky squirrels away. Reilly (smiling): I guess he has you to take care of that while he concentrates on other things. I'm sure he appreciates your help. Zeke: That might be why he slips me so many treats. Way more than he ever lets Abby know about. She worries about things like my diet and weight. I don't know why. I only weigh about ninety-five pounds. 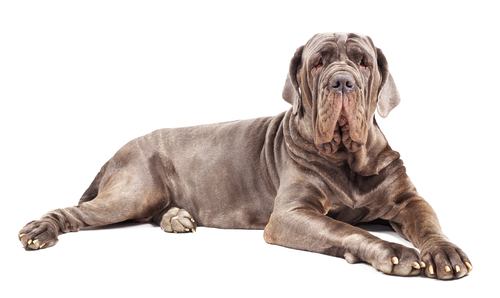 Most mastiffs are a lot bigger. Reilly: Is there anything else you'd like to tell us about Abby McCree and your life here in Snowberry Creek? Zeke: I was happy living with Sybil, but hanging out with Abby sure makes for interesting times. I think both Tripp Blackston and Gage Logan, the Chief of Police, have each gained a few gray hairs since she moved to town. You can read all about it in DEATH BY COMMITTEE. Reilly: I'll do that. Thanks again for coming by today. The big dog climbed down off the couch and did a slow stretch before giving himself a good head-to-toe shake, which sent a cloud of dog hair floating through the air. Zeke (pausing in the office door): Thanks for having me. Now, I'd better head home before Abby notices I'm gone.